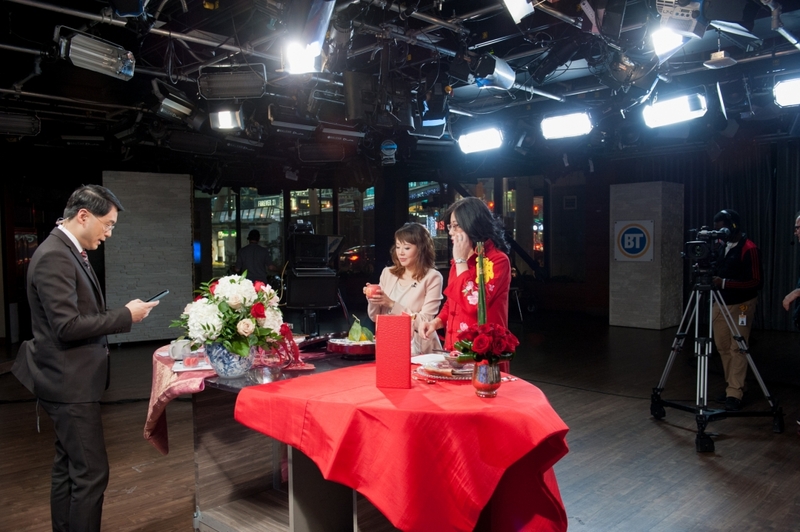 Chinese New Year Home Styling Tips on Omni TV | Luxury Toronto Wedding Planner | Devoted to You Inc.
Gung Hei Fat Choy! 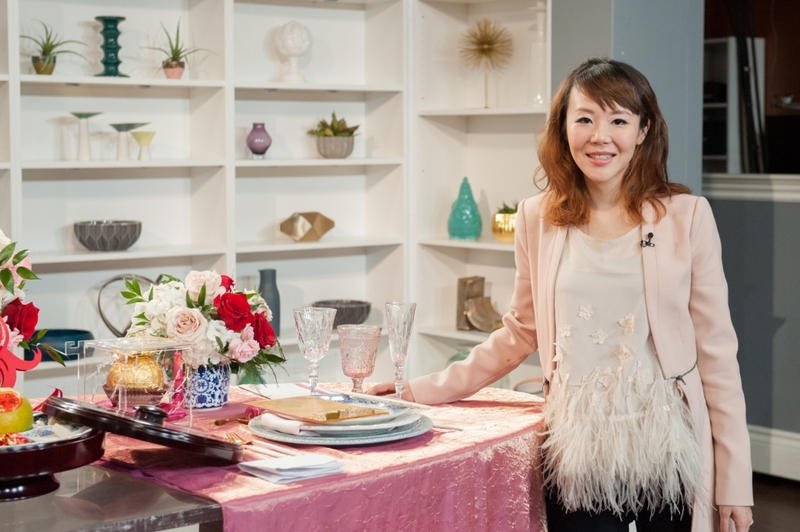 Last week, Wendy Lee from Asian Fusion Weddings and I were invited to Focus Cantonese on Omni TV to speak about home decorating and styling tips for Chinese New Year. 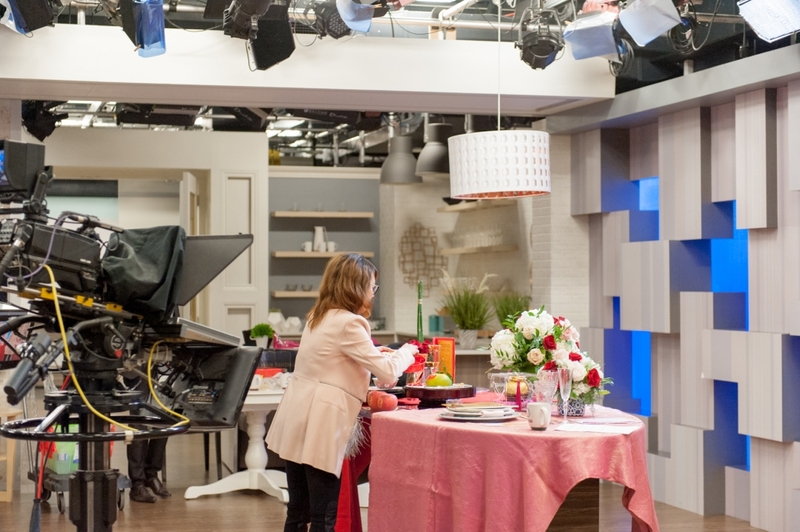 The segment was based on a recent photoshoot we collaborated that was featured on Toronto Star yesterday. We created two looks for the table top using traditional Chinese tableware. As seen on set, the one on the left was a more traditional style with Mun Shou Longevity porcelain pattern that can be found at home for most Chinese families. The look was elevated by adding a touch of elegance using a high quality table linen and creating layers using gold beaded chargers. On the right, we created a more muted modern look with the traditional Ching Tung blue and white porcelain tableware and vases coordinating with tones of pink flowers. The blue and white porcelain pattern tableware could also be found in most Chinese homes and it is easy to recreate the look. It is also a very popular pattern right now and this look can be reinterpreted for other celebrations such as bridal showers and baby showers. Here are some behind the scene shots by Pepper and Light. Shout out to Bridal Secretary for dolling me up and Secrets Floral Collection for providing the flowers on set. Tableware by Event Rental Group and Plate Occasions.  Stay tuned for more photos of our photo shoot this week on our blog! Here is a video of the segment in case you missed it.